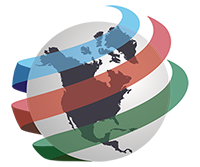 At the recent APEC meetings, Canada and Mexico announced their interest in joining the U.S., along with other countries already engaged in negotiations to establish what has been referred to as the NAFTA of the Pacific. The leaders of the nine countries that are part of the Trans-Pacific Partnership (TPP) met at the Asia-Pacific Economic Cooperation (APEC) summit in Hawaii and agreed on the broad outlines of a free trade agreement. The current members include the U.S., Australia, New Zealand, Malaysia, Vietnam, Singapore, Brunei, Peru and Chile. 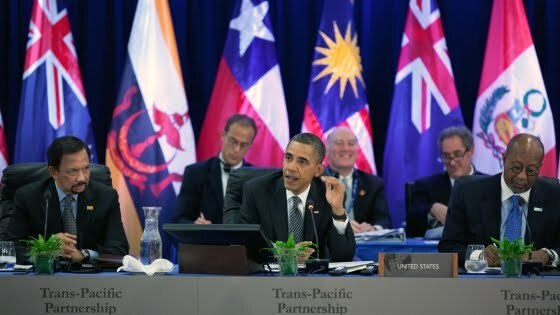 The TPP has been hailed as a, “landmark, 21st-century trade agreement, setting a new standard for global trade and incorporating next-generation issues.” Key features of the TPP are that it would provide comprehensive market access and be a fully regional agreement designed to facilitate the development of production and supply chains. Various working groups have been discussing issues such as financial services, government procurement, intellectual property, investment, rules of origin, telecommunications and trade remedies. The next round of talks will take place in December and there are hopes of concluding negotiations before the end of 2012. Apart from Canada and Mexico, Japan has also expressed interest in being part of the TPP. The door is also open for other countries to join which is why many consider it to be a building block for an Asia-Pacific free trade zone. Following the APEC forum, President Barack Obama held a bilateral meeting with Canadian Prime Minister Stephen Harper. Originally, it was scheduled to be a North American Leaders Summit, but Mexican President Felipe Calderon could not attend due to the death of Interior Minister Francisco Blake Mora. According to a Readout by the Press Secretary, the leaders look forward to a rescheduled trilateral summit. During his meeting with Prime Minister Harper, President Obama, “noted the important progress being made on the Beyond the Border and Regulatory Cooperation initiatives.” He invited Harper to Washington in early December where an action plan that would work towards a North American security perimeter could finally be released. Both leaders also discussed the announcement by the State Department to seek additional information regarding the Keystone XL Pipeline project. A final ruling on the pipeline which would carry oil from western Canada to the gulf coast of Texas will not be made until after the November 2012 presidential election. The move has prompted Canada to further diversify its trade ties and shift its focus on the Asia-Pacific region. The decision by Japan to begin consultations with TPP countries, followed by the news that Canada and Mexico are also seeking to join negotiations, has given the trade agreement a real boost. U.S. Trade Representative Ron Kirk welcomed their interest and stated, “Along with Japan’s similar announcement this week, the desire of these North American nations to consult with TPP partners demonstrates the broadening momentum and dynamism of this ambitious effort toward economic integration across the Pacific.” Minister of International Trade Ed Fast reaffirmed Canada’s commitment to advancing economic interests in the Asia-Pacific region. He acknowledged, “We recognize the TPP as a means to further strengthen those ties and contribute to what promises to become a broadly-based vehicle for economic integration in the region.” The report, Canada, China, and Rising Asia: A Strategic Proposal released in October, recommended joining the TPP as the most efficient way to deepen integration with other Asian economies, providing that the Canadian government reforms the supply management system. Canada has previously expressed interest in the TPP, but supply management has proven to be stumbling block. The practice which has been in place for decades sets production quotas for dairy, egg and poultry farmers and protects them with import tariffs. In a recent speech, New Zealand Trade Minister Tim Groser raised questions about Canada’s application to join TPP negotiations. He admitted, “Dairy will be very challenging for Canada. This is a statement of fact. Canada follows a policy that many Governments used to follow but most have moved forward. It is called ‘supply management.’ It is completely inconsistent with tariff elimination.” As far as benchmarks go, Groser confirmed that there are questions that TPP countries will ask when considering new applicants such as whether, “we see clear evidence of a matching commitment to attain a high-quality agreement across all chapters, including the most sensitive matters.” He maintained that, “There is a very strict dress code involved and we are going to be stuffy and old fashioned in enforcing it. When our Leaders said ‘eliminate’ tariffs and other direct barriers to imports, they meant it.” Some have hinted that TPP negotiations could be used to expand NAFTA. The Conservative government maintains that it will promote and defend Canadian interests, but there are concerns that supply management could be used as a bargaining chip to secure a spot in the TPP. In his article, Is Harper putting dairy and poultry protection on the table in trade talks?, Steven Chase reported that, “A former senior Canadian trade official said expanding trade with Asia is not the Harper government’s only reason for joining the Trans-Pacific talks.” He goes on to say, “John Weekes, Canada’s chief NAFTA negotiator, said Ottawa can’t afford to be left out of talks that appear to be offering signatories a deeper economic relationship with the U.S. than can be found in the North American free-trade agreement.” Weekes is also quoted as saying, “What we’re talking about here – if it really does become what Obama says it will be – is we’re renegotiating NAFTA in the same way we renegotiated the Canada-U.S. FTA.” Another NAFTA-style agreement poses a serious threat to economic sovereignty. There are fears that the U.S. could use the TPP to open up the Canadian telecom market and its banking sector to more foreign financial services. The article, TPP as a Lynchpin of US Anti-China Strategy by Jane Kelsey sheds more light as to the real agenda behind the proposed trade agreement. She acknowledged that it is part of a, “revival of US geopolitical and strategic influence in the Asian region to counter the ascent of China. The US aims to isolate and subordinate China in part through constructing a region-wide legal regime that serves the interests of, and is enforceable by, the US and its corporations.” It is interesting to note that many of the current TPP partners, including new prospective members support U.S. foreign policy initiatives. This ties in nicely with the Obama administration’s plans of expanding alliances and military bases in the Asia-Pacific region in an effort to contain China’s rising power.